That's right - it couldn't have been all that bad! I even ate my slightly doughy profiterole just to give it a try. I am glad the combination was still a hit! Looks yummy to me! With all of those paired together, it had to be good! 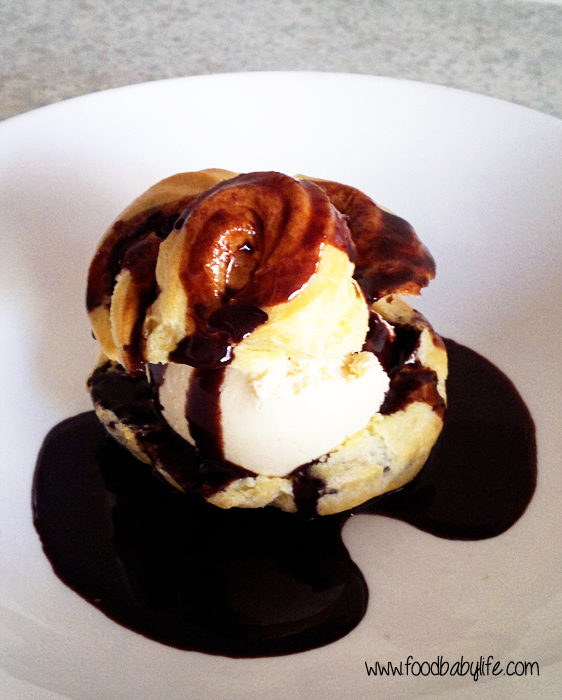 I think the profiterole looks delicious in the photo! Three so-so's equal one pretty-good! :) I mean, chocolate and ice cream?? What could go wrong? !